Coffee table, FontanaArte, CORTECCIA, Pietro Chiesa, 1936. Coffee table. 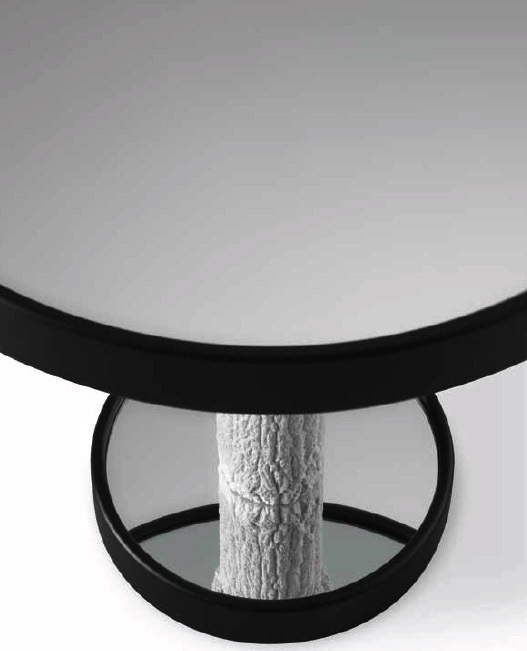 Top and base in mirror-finish glass, edged in black matte painted wood. 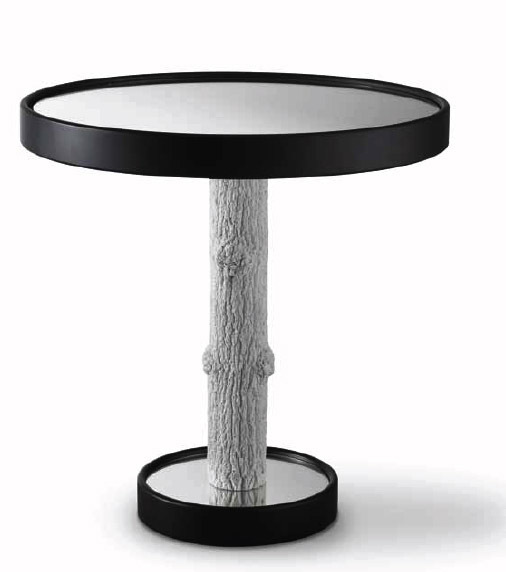 Base of white marble powder and resin shaped to look like a tree trunk.